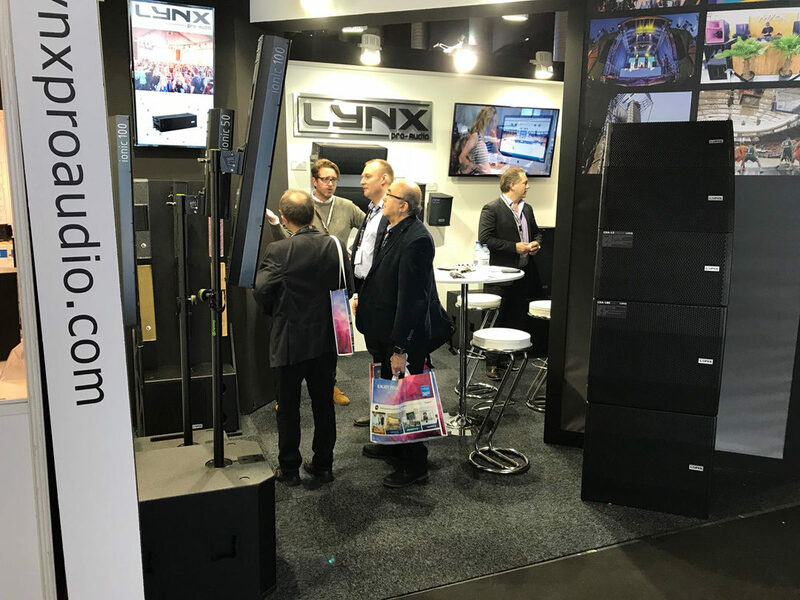 ISE Amsterdam took place on 6-9 February and Lynx Pro Audio was there exhibiting a wide range of sound systems, including three new installation cabinets. This trade show has become the largest audiovisual meeting in Europe and one of the most important in the world, and we were able to meet a large number of professionals interested in getting to know our systems more closely. 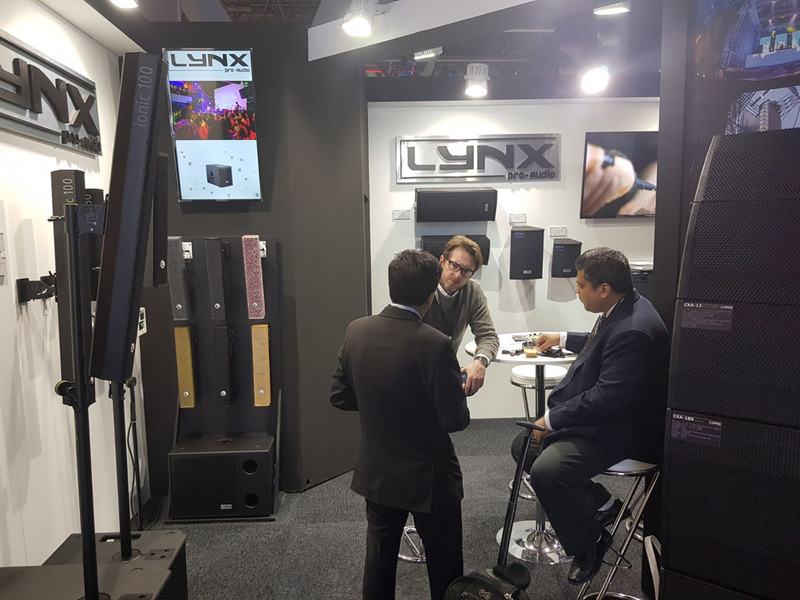 Our booth was attended by Ben Sinclair (Sales Director) and Jesús Fuentes (product manager) who were able to show the complete solution package from Lynx Pro Audio. They also had the opportunity to present three new cabinets, the company’s newest options for install projects. The new cabinets are a 5”, 6” and 8” all designed for install sound projects. The HR series is being upgraded with two new models: HR-6 and HR-8. These are new compact cabinets with superior reliability and sonic performance designed for fixed installations. Both models are passive, two way, full range. The Ionic column speakers have now a new ultra compact 5” box named IONIC-5C. This box is designed to work with our subwoofer IONIC-12S. The cabinet includes a 5” coaxial speaker and can be powered from the subwoofer unit. We are really excited about these new models and are receiving the first orders now.